This Deck The Halls Blue Dog Sweater is by East Side Collection. Available in XXS size only. Last One in Stock and is On Sale Now! The Dog Sweater features a plush snowmen with real buttons and 3D detailing gives this sweater tons of holiday cheer. 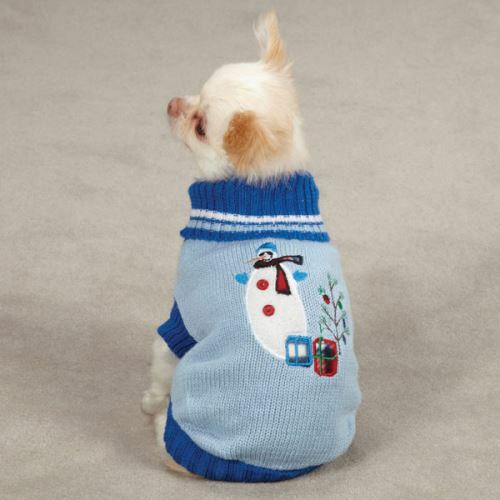 The Deck The Halls Blue Dog Sweater comes in a turtleneck design, ribbed trim, leg straps and a high-cut, stay-dry belly. Care: Turn garment inside out before washing to protect detailing.